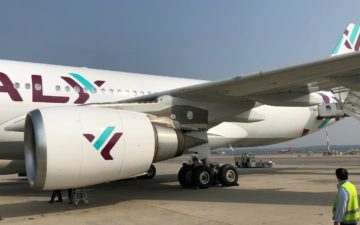 On Thursday I recommended those encountering phantom Cathay Pacific award space try using the Japan Airlines website to search for award space, and have received several questions about how to use the JAL award search tool. 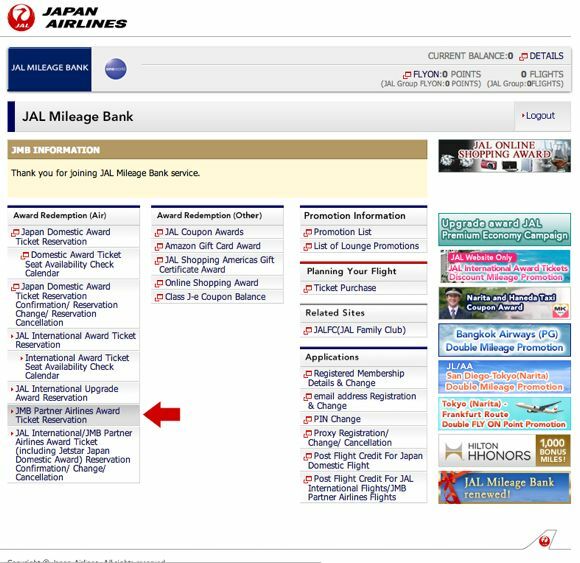 To begin, you’ll need to register for a Japan Airlines MileageBank account, though you don’t need miles or account activity in order to search. Assuming you want to search for award availability on OneWorld partner airlines, once you’ve logged in to your account, select the link for “JMB Partner Airlines Award Ticket Reservation” on the left-hand side. The JAL tool doesn’t show award space for all their partner carriers, but they are an accurate source for award availability on American Airlines, British Airways, Cathay Pacific, and Qantas. You have to specify which carrier you’d like to search, so it helps to search segment-by-segment on specific routes, rather than just entering your origin and destination. You can only search a single class of service at a time, and the system requires you to search for round-trip itineraries. It’s also worth noting that when you enter an origin or departure city you have to go to the drop down menu and select the full name of the airport. If you enter the three letter code and try to search you’ll get an error message. The results page lists the required mileage and fees for tickets booked using Japan Airlines MileageBank miles. If you’re using any other mileage currency you can ignore this. The second section shows flight availability on the selected dates. Flights with available award space will be selectable, while flights without award availability will be greyed out. Another quirk of the JAL tool is that you don’t select the number of seats you’re looking for. Instead, to the left of each flight the cabin of service will be listed (F for First, C for Business, and Y for Economy), with the number of available award seats listed in a grey box just above. This availability should match what is available to other OneWorld partners, so you should be able to book this space over the phone. The JAL tool is probably more accurate than the British Airways site lately, so for the partners they display space for this is a good website for “verifying” space. Any suggestion to wich tool to use to find Iberia flights? Does the JAL site let you determine if Saver awards are available? I use KVS Tool, which is pay software, and really streamlines use of the JAL site for award search (and other websites like etours which lists AA revenue availability buckets which flightstats does not). I was using the JAL search for CX HKG-SFO. Found seat in F and J for various dates with availability. Then called AS desk and could not find a single F seat and 1 J seat from Sept to Jan.
Not sure if it’s the tool. Could CX be starting to block? KVS interface is super clunky too… much worse than JAL. @ Carlos — I use ExpertFlyer, but otherwise the BA tool is probably your best option. @ Miles — Yes, the space displayed should be saver level award space. @ Maf — Did you hang up and call again? Some of Alaska’s agents are a bit clueless, so maybe that’s the problem? @ dean — Yep, odd one off partnership. Lucky, when I search for the cgk-nrt 1-15-15, it doesnt show any F or not in service message, however at BA site, it displays J only with no F in service and the equipment is 777. is it a change of aircraft or F not loaded ? @ choi — Next year it looks like it’s operated by a 777-200 without first class, unfortunately. Hi Lucky, Does this works for booking EK? 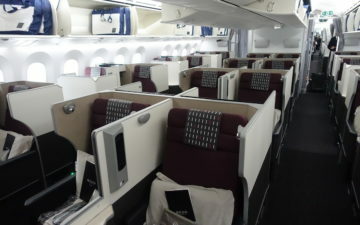 @ Su — I would use the British Airways or Qantas sites to find JAL space that’s available to partner carriers. If you call American they should absolutely be able to combine the segments. @ Fan — Nope, you’d need to check Emirates availability on ExpertFlyer or the Alaska site. Ouch! Not a very user-friendly site and lacks advanced functions that ANA offers but I guess it’s good for verifying award space. P.S. Qantas fees are reaching BA levels – $937.30 for LAX-SYD round-trip in J (on top of 100,000 miles). So helpful, thank you Lucky for this post! I cannot for the life of me find get CX SFO-HKG availability to show on the BA website, as the website only searches for BA flights (which there is none) and doesn’t give the option to search for partners–have you encountered this problem yet? Specifically for the SFO-HKG route only; I get CX to show up on BA.com when I search for LAX-HKG. I’m trying to use up my Avios balance! I used the JAL site per your instructions but it only shows flights 330 days in advance whereas Cathay releases 360 days (which I imagine a lot of seats get booked during that gap). @ Ann — There just might not be space, in which case it wouldn’t display anything. Also keep in mind that if you’re using Avios, you can only book 355 days in advance. I’ve been searching for CX award seats in F between LAX and Hong Kong. I can see several seats using JAL’s search engine, but nothing on either BA or QF. When I speak to USDM to book the seat, they cannot see it either. What gives? @ SH — There do seem to be some discrepancies lately, though unfortunately I don’t have an explanation. I’ve been looking for seats from Sydney back to NYC. Found NRT-NYC, but nothing from Sydney to Tokyo is available. Got it on hold, hoping something will come up. I’m running into this ‘phantom’ problem too. Checked on British and they do have a Cathay flight showing from LAX-HKG-BKK at the end of Jan coming back mid Feb on BKK-HKG-LAX. Called the AA agent and she couldn’t find any availability. So I thought I’d check on JAL’s mileage bank and it does show the same availability. These are only economy tickets. What do you think the problem is? @ Ben — Did you try calling American at least three times, and having them search segment by segment? It’s possible you just got a clueless agent. I’m encountering the same problem as Ben. 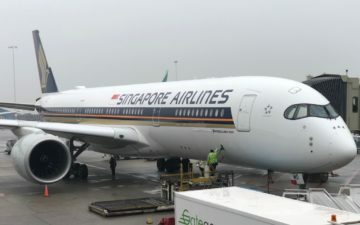 I’d booked tickets on a Cathay flight using AA miles from AKL-HKG in economy (at the time that was all that was available). After today’s daily check on BA I saw 3 business seats available. I excitedly called AA only to be told no availability. I checked JAL – showed 3 business available. Called AA again, being sure that the operator was looking at the correct flight – no availability again. Could it be that I have to wait a day for AA’s systems to refresh? Is there anything specific the operator has to do to access the full inventory available to AA? Or do BA and JAL have access to seats that AA don’t? It looks like their ticket search engine is down until April 2016? Can anyone else confirm? Can I use JMB search to book award space in JAL international flights using Asia miles or ba miles?